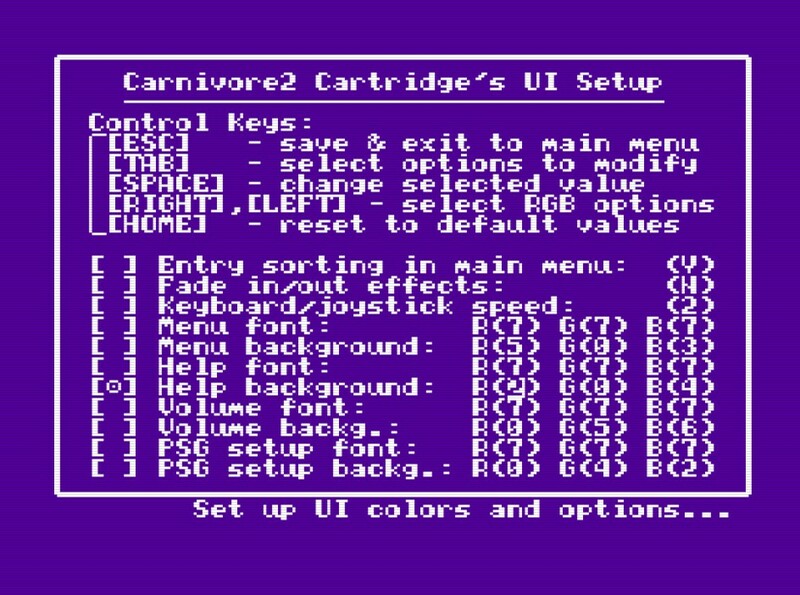 This topic was created to inform you about the releases for Carnivore2 cartridge's project. Please don't submit bug reports or comment anything in this topic. Today we made a small update for all tools. Please get the new tools from our repository. The utilities were modified to work correctly with Daewoo computers. The boot block for Daewoo and Arabic machines can be found in the \bootblock\special\ folder of the repository. We strongly recommend to update the firmware. This is not the obligatory fix. 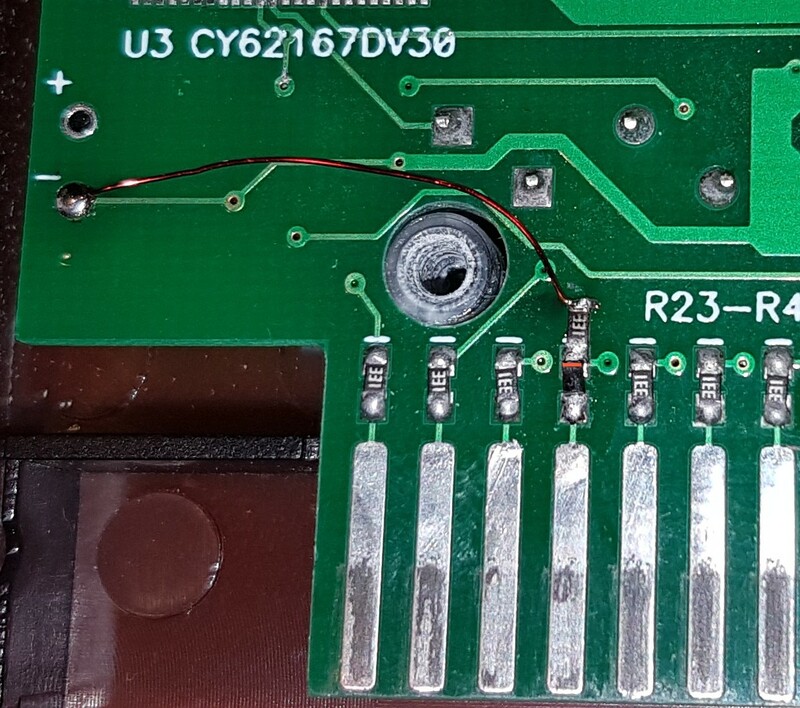 If the cartridge works fine on your MSX, you don't need this modification. The files are in the usual place. A tiny release was done today. The boot block now supports the built-in trigger buttons, for example those on Casio PV models. They now allow to interrupt autostart. We are currently testing the beta version of the new boot block. After a few wishes from our users, we've added the UI settings screen that can be called with "S" button into the boot block. A user can now enable sorting of the menu entries, enable/disable fade in/out effects, set the speed of the keyboard/joystick and customize the font and the background colors of all boot block's screens (on MSX2 and later computers). A user can also restore the default settings with just one button. The UI settings are stored in the configuration EEPROM. We have a big release for Carnivore2 today. The list of changes can be found below. I would like to thank Carmeloco, Pencioner and 8bits4ever for their help during the testing phase and for the new improvement ideas.